Yesterday I enjoyed a very indulgent afternoon of quality trashy television (I heart Nashville, do not judge me), a mug of tea, a slice of my mum’s coffee and walnut cake, and a ball of wool. Rather than embrace my inner moggy and spend my time chasing yarn around the front room, I was very productive and can now cross off “knit tea cosy” from my To Do list. I should probably write a more useful To Do list. 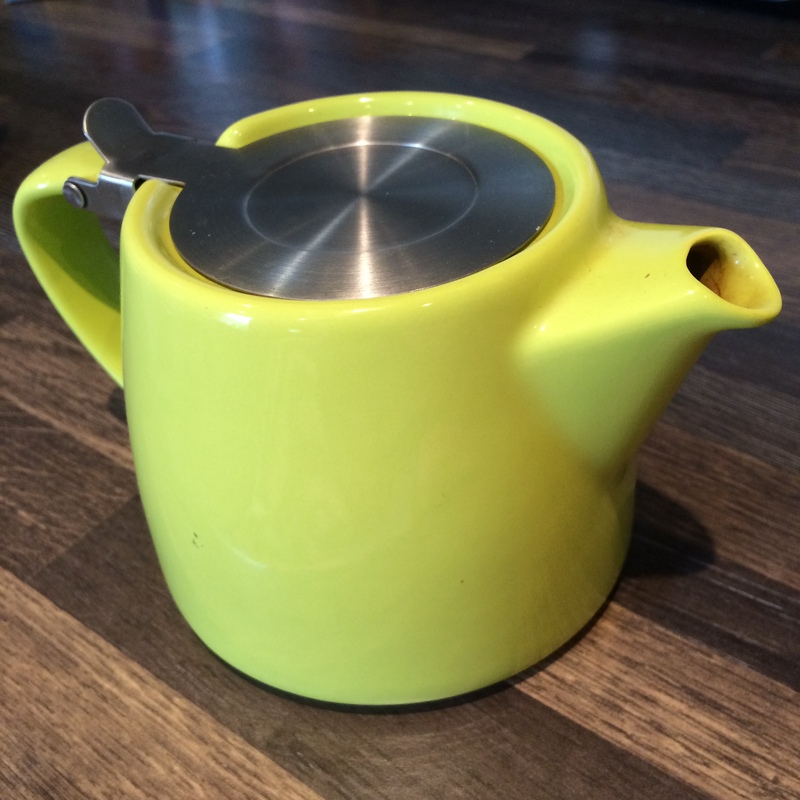 Anyway, for ages I’ve wanted a cosy for my funny shaped teapot. It’s a For Life stump teapot (proper posh, it’s what they have in the Tate Modern cafe) and is brilliant because it has a removable infuser/strainer bit. This means that you can brew your tea for however long you like (3 minutes please) and then remove it, thus avoiding your second cup being an over-brewed brew. Whilst I always have a perfectly brewed second cup, it’s often a perfectly brewed second cup that is stone cold, hence the need for insulation. After a hunt on Ravelry, I found the perfect pattern. 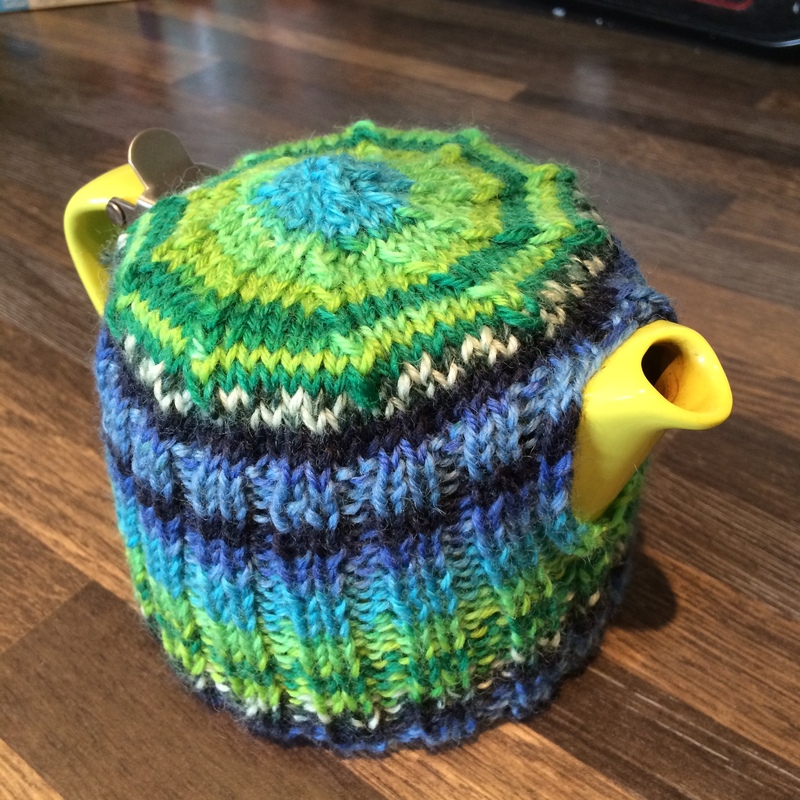 Based on a pattern for a type of fez (fezzes are cool, though I don’t know why you’d knit one), it just needed a bit of tweaking to re-scale it to the size of my teapot. It had its first run out this morning and worked brilliantly. I am ever so proud! You can be very proud of it.